From Berlin the Rostfrei collection designed by Anett Röstel focuses on that modern women who likes a little edge to her look. Anett uses textured fabrics that accent her complex cuts and architectural inspired shapes. A collection of sportswear for the modern urban women who values quality fabrics and timelessness in her look. Annette’s palette is classic, her shapes are forward-looking we call this investment dressing. Black label is known for its unique approach to each season; by creating a whimsical theme to their affordable casual collections. Their styling attracts those who want to express themselves with a Eurocentric vibe. The technique of dressing in layers and mixing shapes have become their signature. A Parisian designer highly skilled in the art of knitwear uses her talent to create unique collections. Her imaginative use of color and pattern sets her apart in the world of fashion.You can see Catherine’s curiosity about all around her and infused throughout her designs. A husband and wife team that uses a holistic approach to their designs; they start with unique printing techniques to achieve some of the most imaginative hand crafted fabrics. Then they design shapes to complement each print, this combination has made some of the most interesting and beautiful clothing. The High collection designed in Italy by Claire Campbell offers some of the most creative quality Italian sportswear. This designer’s fresh approach is to use her modern ideas with the latest techno fabrics and combine it with time-honored art of detailing and craftsmanship. The High women can be feminine or edgy, casual or contemporary but never predictable. A Croatian designer who has a flair for glamour, his choices in opulent fabrics and dramatic shapes are inspired. This collection is directed to a confident woman who looks for clothing that will make her standout. A Japanese collection that creates dramatic designs, sometimes voluminous and flowing, then others, folded in simple lines that form origami shapes. An affordable collection of separates that have captured the spirit of a modern gal who can so effortlessly pull together looks that are fresh and flirty. Porto’s success lies in the simplicity of their choice of easy wear, no fuss fabrics that rely on the design to inspire. The cut with folds, draping and asymmetric detailing create some of the most interesting styling. Designed for the international urbane woman who dares to be noticed by her worldly approach to fashion. This is not a trendy collection, though it is edgy. It is for the woman who has personal style and sees it as the perfect addition to her lifestyle. Sarah Pacini started in Belgium and has become an international knit and sportswear collection. She is a master of texture knits, intricate patterns, modern shapes, and unexpected color mixes. Her philosophy is fashion is an art and a creative force for expressing your true self. If hats are your passion you should know about Amy Downs. Her handmade whimsical, playful hats are surprisingly flattering to every woman who has the confidence to show off her personal style. Warning they are addictive! 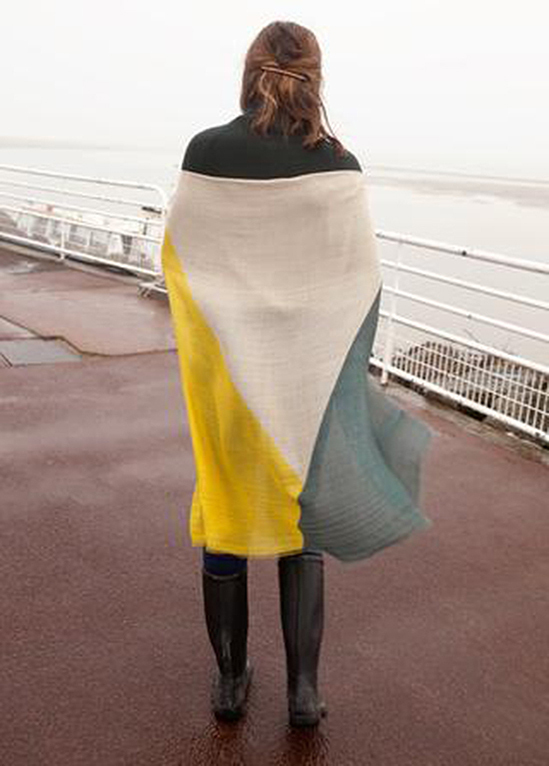 This collection of well-crafted scarves sophisticatedly designed with a highly developed sense of color and patterns. The Grevi family has been making hats in Florence, Italy for generations. Today they still use traditional methods to produce a quality handmade hat that is contemporary. Luxurious French designed scarves and shawls in a mix of contemporary prints and patterns that are in a range of imaginative color ways. It is rare you find the perfect designed item, well we did! An innovative designer created our favorite yet simple spiral hat that complements all our sportswear collections and looks great on all women; it has become a classic. A Parisian knitwear designer with a very special talent as a colorist uses her artistry to design hand crocheted, knitted and embroidered accessories that are undeniable works of art. Her amazing scarves have become collectables with her admirers. A wonderful small European company headed by two women that designs soft hats and accessories. Their cloches are their signature shape, though they also show headbands and gloves that are irresistible. Tzuri Gueta’s workshop is located in Paris; all of the pieces are hand made making them even more precious. He and his team find inspiration in nature, both land and sea. His innovative approach, unprecedented techniques and surprising materials create jewelry that are wearable objets d'art. Inspired by the opulence of the past interpreted by using her own technique to create wearable contemporary jewelry. Uli‘s selection of screen printed antique gemstones and chunky chains make up a wonderous collection that is designed and handmade in Amsterdam. Design and function describe this modern reversible bag. Inspired by Japanese origami, styled from Brazilian leather and handmade in the U.S. 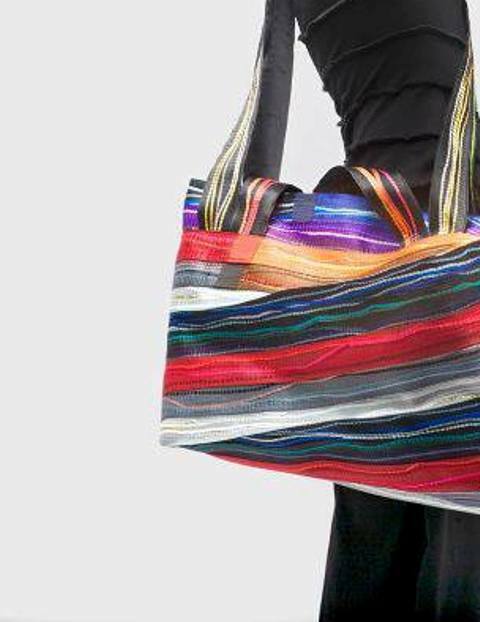 It takes a gifted designer to develop a foldable, reversible bag that goes with you when you travel and looks so great.